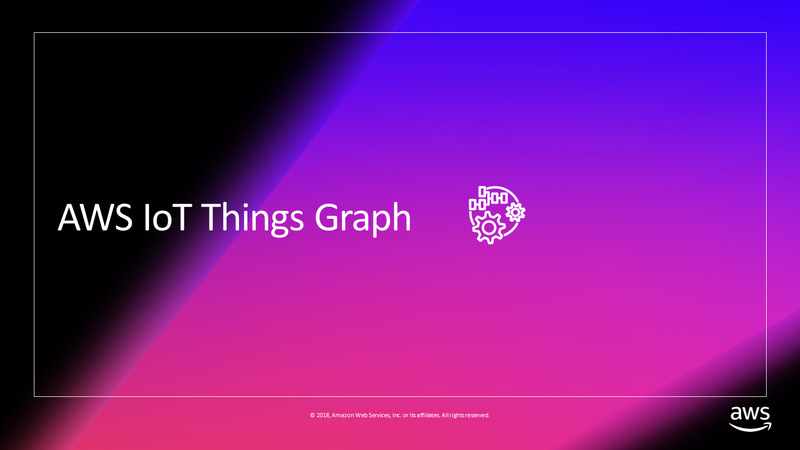 AWS IoT Things Graph is a service which enables non-developers to visually create workflows between physical sensors, physical assets and web services to build intelligent networked solutions spanning physical and virtual things. In this tech talk, you will learn how to use prebuilt device abstractions and protocol translators to easily enable interactions between devices, even if they weren’t designed to work together. You'll see how built-in visual editing tools in Things Graph can be used to quickly arrange abstractions and deploy them in the cloud or on edge devices. Things Graph has powerful workflow management to automatically coordinate and track each step of the flow, and we will show you how you can take advantage of this and more.